We are your first choice when it comes to finding the best deal on any minibus or coach hire transfer across Edinburgh. We have over 10 years experience in helping thousands of customers travel to and from Edinburgh with a service second to none. With all our experience you are guaranteed to get your group transported in the most comfortable vehicles that can cater for up to 200 passengers at any one time. All our drivers are fully qualified and hold full minibus hire insurance as standard. Our minibuses can be used for any occasion you want which include Business Travel, Race Days, Sporting Events, Nights Out, Weddings and much much more. With our commitment in providing the very best service we offer to beat any like for like quote on any journey from or to Edinburgh. We are also able to offer tour trips that can last for up to 14 days and we can also offer you a tour guide at no further cost. If you require an executive vehicle for your journey we have many Mercedes minibuses and coaches available for your event or occasion. Edinburgh is a city steeped in history and beauty. Home to the famous Edinburgh Castle and the Stone of Destiny, the city is busy with a multitude of art galleries and museums. Our vehicles are able to cater to a large set of parameters. Whether you’re travelling with a party of 20 or 200, we are able to provide a vehicle to get you where you need to be. We offer Mercedes minibuses that vary in size, and can seat up to 24 passengers. Dependant on your party, we will ensure that the perfectly sized vehicle will be ready and waiting to pick you up on the day of departure. 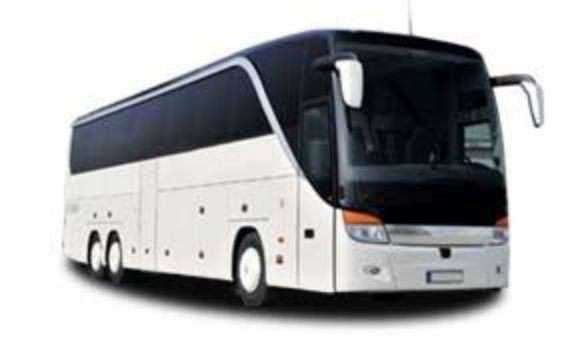 For larger parties, we will happily provide coach hire. Our coaches come in smaller and larger sizes, so we can match the right vehicle to your party. If you’re travelling with a particularly large group, we have coaches that can seat up to 72 passengers that are available for hire. For slightly smaller parties, we also have coaches that seat 64 and 56 passengers. We ensure that all of our drivers are formally trained and fully-ensured. We pride ourselves in a happy and friendly service, so only the best of the best are asked to drive for us. All of our vehicles are also regularly serviced and maintained. If you’re keen to drive yourself, we’re happily to supply a vehicle for you to use at your own leisure. All our minibuses can be hired for self-driving purposes. In order for us to hire to you, you are required to provide a copy of your full driving license for our personal records. In turn, we’ll make sure that you’re fully ensured and covered for any accidental damages. All our vehicles are equipped with front and rear climate control, and there’s plenty of leg room for maximum comfort during your journey. They also come equipped with CD and DVD players, LCD monitors, reclining seats and 3-point seatbelts.If you fancy watching TV during your journey, our drivers will be more than happy to accomodate. There are also restrooms aboard both our minibuses and coaches to ensure a pleasant trip devoid of unnecessary stops. Our vehicles are equipped with free wi-fi. When it comes to electronics, our minibuses and coaches are also fitted with many outlets for charging. If you’re looking to take an extended tour around the city, we are happy to provide a coach for up to 14 consecutive days. This means that our vehicle will be on constant call to drop and pick you up when you choose. If you so desire, we can also organise for a free professional tour guide to join you on your journey. Our tour guides will happily accompany you for the duration of your stay in Edinburgh, and allow you to truly enjoy the best that Scotland has to offer. Edinburgh is a busy city, with lots of sights to see. We know it can be stressful organising transport for larger groups. So whether you’re getting ready for a hen or stag party, an important business trip, a golfing trip or a distillery tour, we’re happy to cater to you. Our minibuses and coaches can be hired for long lengths of time, so whether you want to zip around the city or cruise in style, we can make arrangements. Please give us a quick call to make any inquiries. We’re famous for our reliability when it comes to airport transportation and transfer. Our service is unparalleled when it comes to getting passengers to and from the airport with ample time for leisure. Simply send us over your pickup location, and we’ll ensure that the perfect vehicle is ready and waiting to take you to the airport. If you supply us with your arrival time, we will be ready and waiting for a fast pickup. We are devoted to ensuring that you do not have to wait at the airport after a long flight. To this end, our drivers will be watching for any delays or alterations to your flights. All of our vehicles are comfortable for both short and long journeys, and have ample room for passengers and luggage. If you’re travelling with large pieces of luggage, our vehicles are perfectly suited. With over fifty years of experience in the transport sector, our rates are some of the best in the business. We need only a few details to be able to get a quote back to you instantly. This means you can get an idea of the total cost of a hire with us immediately. Once you’ve decided, we will work quickly to secure the required vehicles on the dates you’ve supplied. When it comes to paying for your hire, we like things to be simple. To this end, we accept all forms of payment, including all major credit and debit cards. When you are booking with us, just specify how you would like to pay and we’ll happily accommodate you. We are happy to transport you to a wedding, a funeral, a party, an airport or take you on a Scottish / UK tour! No job is too big or small as we cater for all group sizes! Our vehicles range from 8 seater minibus up to 72 seat coaches and all drivers are local, knowledgeable and checked. We specialise and are known for our high knowledge of touring Scotland. Whether you want to stay local to visit places such as Edinburgh castle or travel further to see the beautiful view of the Isle of Skye, we can provide you comfortable transport. We pick up / travel to all Scottish airports mainly Edinburgh Airport, Glasgow Airport, Prestwick Airport, Aberdeen Airport. We will track your flight number so you do not need to worry if your flight is delayed as we will know and we will be waiting for you at no extra charge! Many people from all over the world come here to Scotland to visit / play golf in Scotland. We can simply provide you with to and from transport or we can provide a golfing tour. We have a range of buses big enough to hold golf bags as well as luggage. The most popular golfing destination is St Andrews which is just 1 hour 30 minutes away from Edinburgh. Gleneagles is also very popular also 1 hour 30 minutes away from Edinburgh. Scotland has many visitors for distillery tours, how interesting / exciting to watch the finest whiskeys being made before your very eyes. Watching the process of the world famous whisky being made and learning the process whilst having an exciting day out. Our booking process is very simple, all you have to do is fill in the form or call our transport booking operator and you can get a no obligation quote within minutes. Please feel fre to shop around as you will not find a cheaper minibus or coach hire company in Edinburgh as we will match or beat any written quotation. Email us at info@abcminibusesedinburgh.co.uk with your itinerary or journey details and we will provide you with a quotation within 24 hours.